Board games are an excellent family bonding activity with both educational and social benefits. They can encourage verbal communication and interaction as well as teaching important social skills such as sharing, waiting and turn-taking skills – not forgetting the elusive skill of being a good sport whether you win or lose. 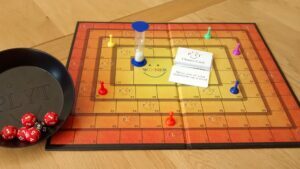 For families with children across a range of ages or who have a child or children with learning differences, finding games to play that stimulate everyone’s interest (including the adults!) can be especially tricky. When their children were at primary school, Lisa and Ian McCartney were keen to help them improve their numeracy skills and looked for a game that they could play together to do this. They tried various things but found that games that were suitable for one child were too easy or difficult for the other and in all cases, they as adults had to ‘dumb down’ to play on the same level as the children. That’s when they came up with the idea for Plyt – a competitive maths game where everyone is challenged at their own level but anyone can win regardless of age or ability. 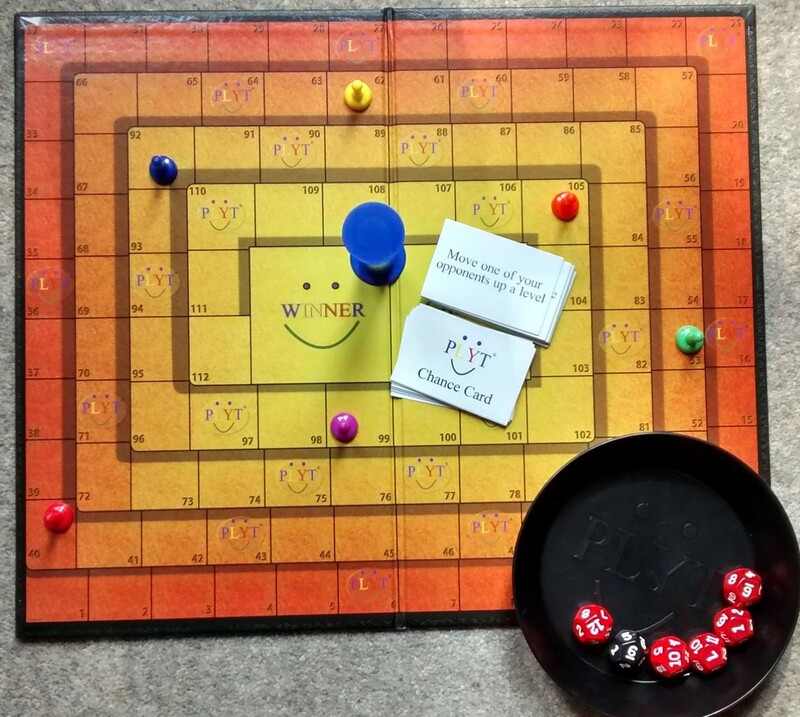 Players choose a number of dice to roll (from 2 up to 5) and must correctly multiply the numbers showing on the face of each dice to move on to the next space on the board. Younger players can just add the numbers until they’re ready to start multiplying. With special Chance Card squares dotted around the board there’s always an element of surprise to make things more exciting too. When Plyt asked us if we would be interested in sponsoring the daily Plyter competition for Autism Awareness Month we were only too pleased to work with them. The ability for everyone to be challenged at their own level makes the game ideal for children with autism and their families to play. There are many children on the autistic spectrum who have a good ability with numbers so Plyt takes advantage of this strength and interest whilst encouraging participation in an activity with others and teaching social skills. Siblings, friends and parents can play alongside at their own level and everyone grows in confidence and ability. The daily #Plyter challenge runs on Twitter and Facebook at 19:30 each day and is a just-for-fun way to give your brain a daily exercise with an occasional prize thrown in for the monthly winner. When my son has science homework my heart sinks. He has autism and significant language impairment which impact on his reading comprehension abilities and vocabulary knowledge. The science curriculum is so densely packed with subject specific words that it’s a real challenge to explain concepts simply for him. I’ve a shelf full of study guides to show for my efforts! 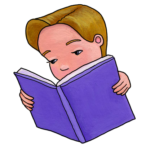 You’ll understand then why I was so excited when I heard about Open Book – a new tool for making texts more accessible for people with autism. 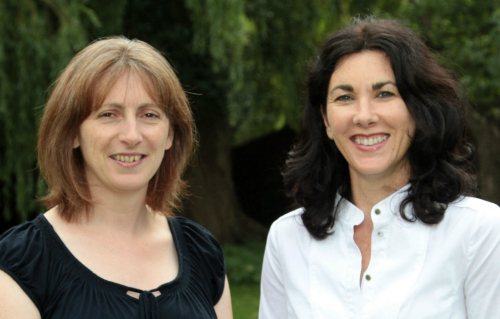 The software was created as part of the EU-funded FIRST project (Flexible Interactive Reading Support Tool) – a large research study that brought together partners from across Europe and has been subject to clinical evaluation. Open Book works by adapting documents into a format that is easier to understand. Simply type or cut and paste text into a document and use the function buttons to either replace complex words with simpler alternatives or change long sentences into a series of shorter, easier ones. My favourite function is the ability to highlight a word and access an approriate image. Like many people with autism, my son is a visual learner learner so this is a really helpful feature. Open Book can be used with various types of text including school textbooks and children’s books. We’re sure that once you’ve watched this video you’ll want to head over to www.openbooktool.net and try it for yourself. Orkid Ideas are proud to be co-sponsors of a new marketing banner for COTTON SHED, East Lancashire’s only inclusive theatre group. Cotton Shed was formed in 2007 as a part of a ‘shedlink’ scheme run by Chicken Shed, the hugely successful London-based inclusive theatre company. Cotton Shed shares the values of its London counterpart, offering access to theatre regardless of age, ability or background. It is a professional theatre company that works using an inclusive creative process, embracing individuals with a myriad of disabilities and encouraging everyone to contribute. The result is entertaining and outstanding original theatre that celebrates diversity. My autistic son attends the Cotton Shed Youth Theatre group. Under the direction of professional theatre artists he has built his confidence and talent at his own pace. He particularly enjoys the safe, nurturing environment and through the skill of the professionals has been involved in some fantastic and inspiring productions. Cotton Shed currently runs groups for Beginners Theatre (ages 4-7), Children’s Theatre (ages 8-11), Youth Theatre (ages 12-16) and Company Theatre (ages 16+) at Haslingden Primary School near Rossendale. Pop over to the Cotton Shed website www.cottonshed.co.uk to watch an inspiring documentary and find out more about their work or how you can get involved.